Forgiveness doesn’t always lead to a healed relationship. 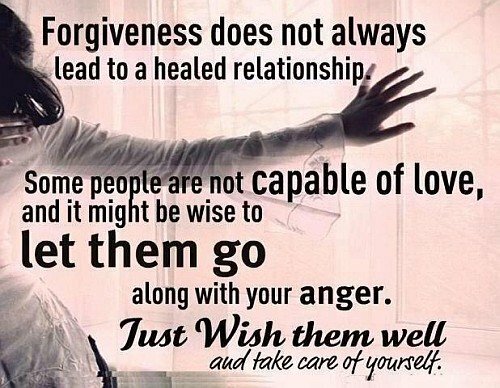 Some people aren’t capable of love, and it might be wise to let them go along with your anger. Just wish them well and take care of yourself.